The story of the birth of Jesus is one we all have heard about or read about. It’s definitely a story filled with hope and promise. I love this specific representation on film because to me it’s very accurate depiction of what its said in the Bible and I feel that each performance from the actors portraying these well-known characters is spot on. Christmas is in a few weeks and I believe this movie is a perfect one to watch as it approaches. Reminding us of the true meaning of the season, the birth of the Savior. To be more exact of what this Christian movie is about, The Nativity Story takes us on the journey Mary and Joseph make to Bethlehem for Jesus’ birth and what they encounter. The Nativity Story starts in Jerusalem where we meet a rabbi named Zachariah. He’s making an offering in the Holy place when a vision is revealed to him. The Archangel Gabriel speaks to him saying that Elizabeth, his wife, will have a baby boy. Immediately Zachariah doesn’t think it’s true since he’s in old age but the angel tells him that he’ll be mute until the baby is born. Then we head to Nazareth, we see a young Mary who is farming outside in the garden. She is set to marry Joseph from Judea. In this moment the Archangel Gabriel visits her and tells her that she will be pregnant by the Holy Spirit and will give birth to God’s son. The angel also instructs her that she will name the baby Jesus. Gabriel also mentions about how her cousin Elizabeth will have a baby as well even though she is in old age. Later near Harvest time, Mary visits her cousin and is present when she gives birth to John who later in history would be John the Baptist, the one who would prepare the way for Jesus’ ministry. When the baby is born Zachariah is able to regain his speech. Mary returns home already pregnant, her parents are in fear that Joseph will blame her for fornication which was a sin that was horribly punishable to the death. Also, they were worried about other people’s looks, of what other would think. Mary explains to Joseph of the events that led to her pregnancy, even though he doesn’t believe her, he chooses not to report Mary. That night in a dream, angel Gabriel tells Joseph of God’s plan and how everything is of the Lord’s doing. Waking up, Joseph immediately feels remorse and feels ashamed of not believing at first. Now Caesar Augustus, the Roman emperor, has sent a decree that every man from the Roman empire alongside his family should return to their hometown or birthplace for a census. Joseph is a full descendant of King David so he has to travel a really long way from Nazareth to Bethlehem where he was born. 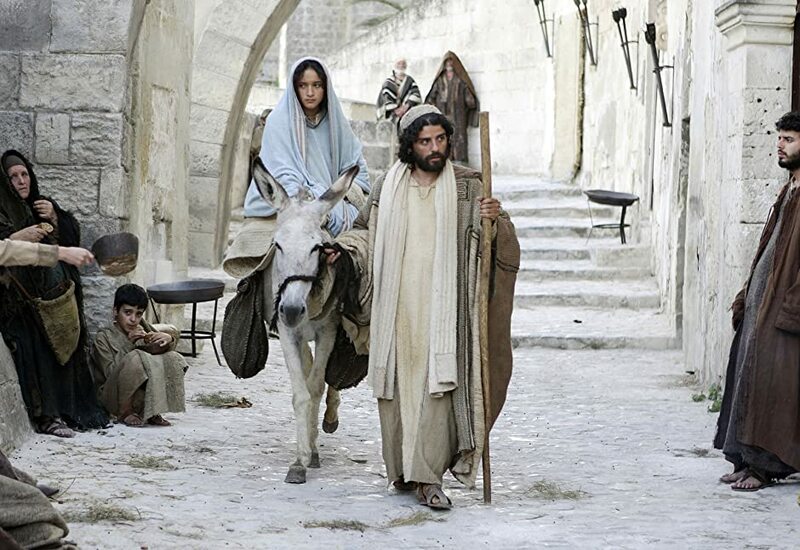 Both Joseph and Mary begin their trek, they have a donkey carrying everything they would need. Approximately they take weeks to get to Bethlehem and upon arrival, Mary is in labor and now Joseph’s priority is to find a place for Mary to deliver the baby. Since the census was upon them, there was no place for them to stay, everything was full. One innkeeper offers his animal stable to the couple. Simultaneously in The Nativity Story, three wise men are visited by angel Gabriel and confirms the upcoming birth of Jesus. Now the wise men follow the star of Bethlehem to get there but before they visit King Herod and inform him of the Messiah will be born as a baby. Herod is immediately uncomfortable with this piece of news and tells the three wise men to go see the Messiah and report back to him of the baby’s location. He says he wants to worship him as well but King Herod has another plan, to kill Jesus in fear that he’ll take his throne one day. The wise men arrive at Jesus’ birthplace, they bow and present him with gifts like gold and myrrh. The three wise men were suspicious of King Herod’s bad intentions so they choose to not go back to him and go home by another route. King Herod is filled with anger when he realizes the three wise men have tricked him so he demands all baby boys under the age of two be killed. Knowing of this, Joseph and Mary flee to Egypt. 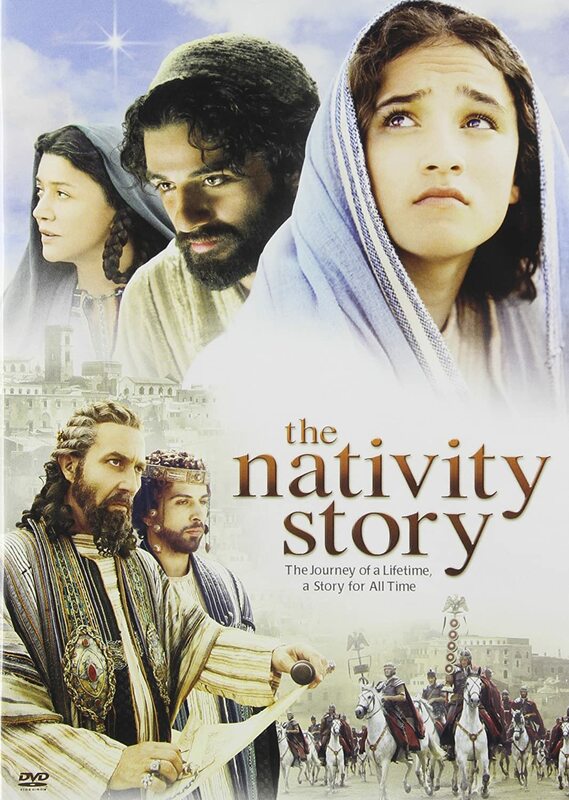 The Nativity Story is such a precious movie one I really recommend!